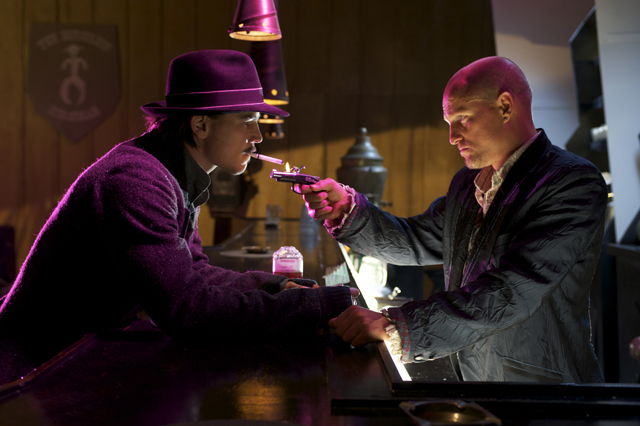 BUNRAKU takes the combined talents of Josh Hartnett, Woody Harrelson, Demi Moore and Ron Perlman and places them in an utterly insane universe where cowboys clash with samurai warriors and megalomaniacal despots in a hyper-real, hyper-stylised environment. According to DNA INDIA, BUNRAKU will be showcased at Mumbai Film Festival 2010. Israel-born, US based director Guy Moshe talks about his film BUNRAKU, which is screening in Toronto’s Midnight Madness section.